I wrote a review for Microsoft’s game review contest and was a winner! 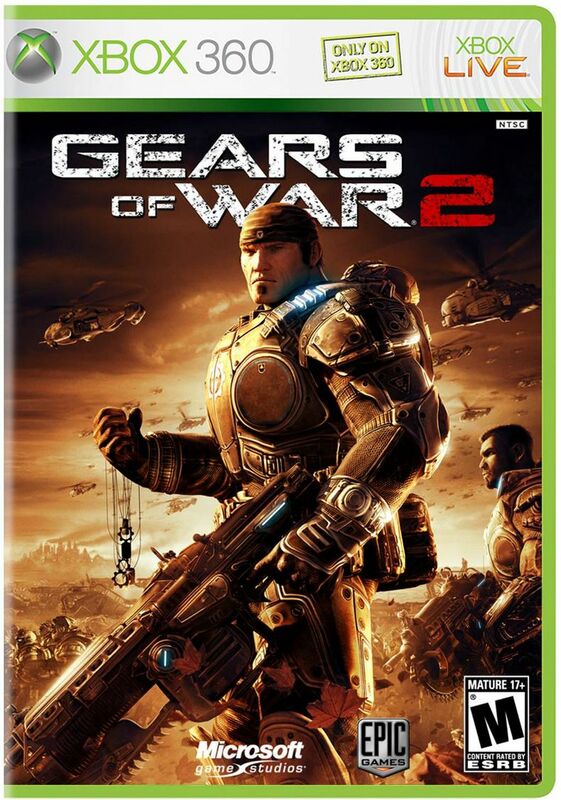 Gears of War 2 is described as the videogame equivalent of a ‘summer blockbuster’ by lead designer, Cliff Bleszinski. And that’s exactly what Epic Games pulled off, a high impact thrill ride, blood fest, through war torn settings and is something else altogether in the graphics department. The story was criticized in the first Gears of War for being too shallow. In Gears 2 however things are a bit more deep and emotional, especially with Dom’s new search for his wife. All the major players are back from COG Delta Squad for this instalment including Dom, Cole, Baird and Marcus Fenix himself. Some new characters are introduced also; Benjamin Carmine, Dizzy, and the spiritual Tai. Even after their assault and activated lightmass bomb on the locust underground tunnels, the locust horde kept on fighting and the war raged on. Gears 2 is set six months later, and the COG are “taking the fight to the locust” by sending troops underground in grindlifts. I cannot reveal much more about the story without giving away too much but it has much improved since the original and is a real driving force to motivate you to finish the game and find out what happens in the end. A new feature to the Gears of War series includes riding familiar enemies Brumaks and Reavers which gives some diversity to the gameplay. New weapons include the mulcher, mortar, ink grenade and flamethrower, and bring gunfights to a whole new level. Chainsaw duels now occur when two lancers come into contact, this has you rapidly tapping the B button fending for your life. In the first game, once you were killed you were stuck waiting for someone to revive you, now there is a small but ever so handy ability to crawl around, avoiding any executions and hopefully finding a teammate to revive you. The ‘meat shield’ is one of my favourite new features, letting you grab onto a downed enemy, providing pretty decent cover when moving about, using nothing but your pistol. The multiplayer has been criticized by many with lag and match waiting times. Luckily a recent patch has improved gameplay for most people. Horde mode, a new addition to the franchise, has you with up to four other players on the regular maps fighting waves of locusts. Playing with just yourself or with a friend is extremely challenging but a completely different experience. There are 50 waves but fortunately you can resume from the highest wave you got up to. There are different waves of spawning enemies and the locust get stronger and tougher to beat. It’s surprising how much time you can actually sink into this mode. Who would’ve guessed that bots would be brought to the other multiplayer modes? There’s nothing like honing up your multiplayer skills within the safe constraints of offline play; no humiliation, and no guilt for heading your team’s downfall. Gears of War 2 adds three new multiplayer modes to the mix, Guardian, Wingman and Submission. Guardian picks one person from both sides as the leader, everyone can respawn but when a guardian dies that team lose the ability to respawn. Wingman splits players into teams of two and everyone can only be killed through executions (killing the enemy up close when he is down). Keeping close to your partner in Wingman is critical to your team’s survival. Submission is like Capture the Flag, except the flag is a Stranded called Chaps, also known as the ‘meat flag’. His shotgun can catch you off guard in the best of times. There are ten maps on the disc but with the purchase of a new copy of Gears of War 2 you get the code to the Flashback Map Pack with five maps from the first game spiced up and looking prettier (or is that dirtier?) than before. Three new maps just released in the Combustible Map Pack for 800 points. So with a maximum of 18 maps, there’s plenty of variety to wreak mayhem on. As with the first game you can play with a buddy online or offline cooperatively throughout the entire campaign. A not so well known problem, which has happened to me, was when I finished the campaign, my ‘War Journal’ which saves all my collectables, unlocked characters, Horde, and Achievement progress, was entirely erased. Such bugs, when they do occur, make the game extremely hard to go back to. Why they couldn’t find these bugs in testing is completely beyond me. If you enjoyed the first game, Gears of War 2 has plenty of new features to make you stick around. However after shooting through countless locust you may start to get tired of the repetitive gameplay. The multiplayer, especially Horde mode is a blast and the campaign is just really fun and exciting through every turn.